You've picked your music, memorized the moves, and committed the jumps to heart, now all you need to do is practice. 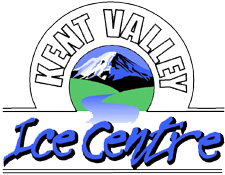 Along with our public sessions, Kent Valley Ice Centre in Kent, Washington, offers freestyle sessions for aspiring figure skaters to develop and perfect key skills. Each 30-minute figure skating session costs $8.80, but you can pay a reduced rate by purchasing a session card. For information about the Kent Valley Figure Skating Club go to kentvalleyfsc.org. Private lessons can be taught during Public Sessions & Freestyle Sessions. These lessons are between the customer and the teaching Instructor. Each Instructor has their own fee schedule and gets paid directly by the customer. They set their own schedule and any cancellations or schedule changes need to be communicated to the Instructor directly. Admission to Public Sessions, Freestyle Sessions and Skate Rental are extra and paid directly to rink. For information about Private Figure Skating Lessons, click here. Freestyle session schedule is subject to change. Please check back frequently for updated calendars. Above prices may exclude applicable taxes.